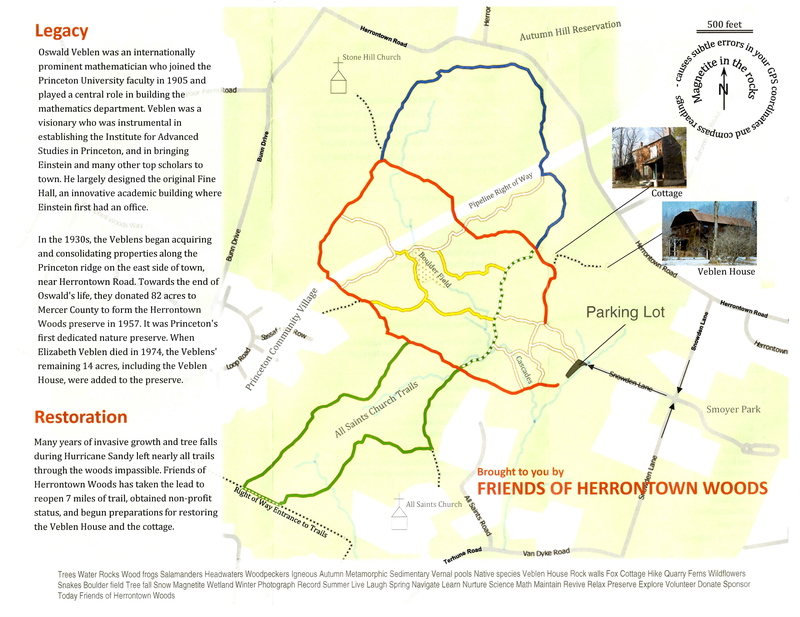 The Friends Of Herrentown Woods, a 501(c)3 non-profit that works to maintain and improve Princeton’s Herrentown Woods, has published a paper map of trails in the forest. The map was prepared following extensive work by the ‘Friends’ in the last few years to re-open and clear the trails, many of which had become overgrown. In the interests of getting the map in front of the most people possible, and helping to encourage interest in Herrentown Woods, we are posting scans of the maps here. See above and below for images of the map front and back, and you can also download PDF versions of the front side and the back side by clicking those links. 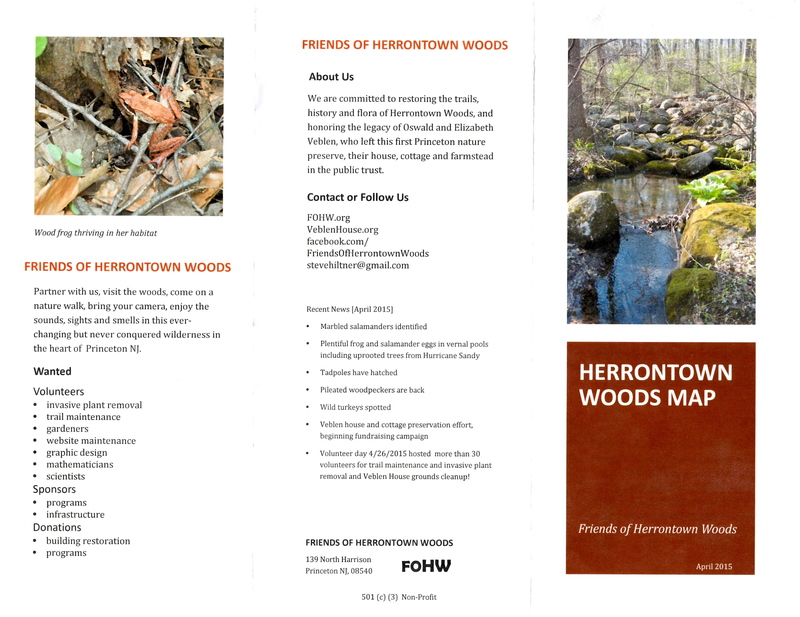 The Friends of Herrentown Woods website does not feature the map at present, but you can visit their Facebook page, which has more information about their activities. Definitely give them a ‘like’ if you have not already done so! Paper copies of the map are available at the parking lot of Herrentown Woods, and you might still be able to get a free copy in Blue Ridge Mountain Sports store (in the Princeton Shopping Center) like I did. The map is pretty good, because it shows the various color-coded trails. It is also quite complete, with almost all the trails marked. In practice, it can be hard to follow the colored trail indicators in the woods, and it is easy to get lost. This map will definitely help. We also previously annotated all the Herrentown Woods trails onto Google Maps. That means you can use your smartphone or device to find your location, and to plan routes. This entry was posted in Princeton, Trails, Walking and tagged maps, Princeton, trails. Bookmark the permalink.